The peaked out collar statement is what really defines this body wear class act. 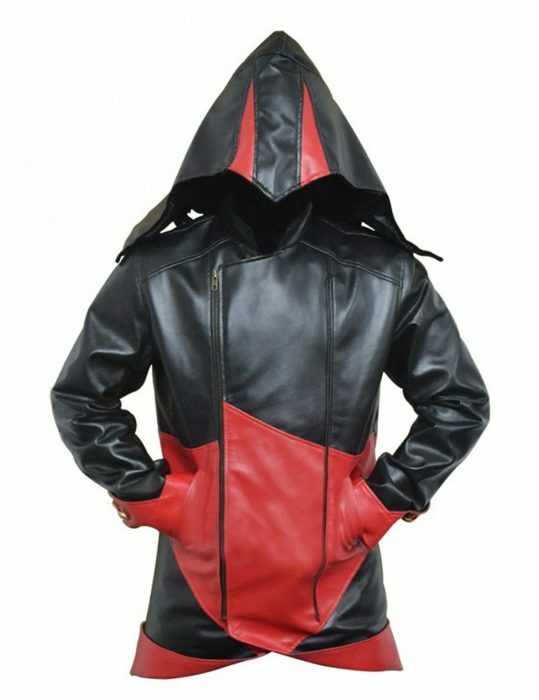 The boosting mode brilliance of the Black Assassins Creed Hoodie. This leather jacket luxury is created with a high quality faux leather material. To give you the heavy-duty glamor effect right up front. Moreover, the interior is cozily touched with the finest viscose linings to give you the comfort you classily deserve. The collar to this Assassins Creed Connor Kenway Jacket is totally a bold-cladded manifest for the whole past-present themed assassins’ attire. Our tailors have used their high-end skills in order to merge the two color blends with compact border-edge stitching. Truly a blended genius when it comes to the needlecraft mission. More to talk about its feature is what’ll give you the goosebumps amid its picture-perfect presentation. The cuffs are neatly ended with trendy buttoned closures to let the assassin spirit gain some old classical aspect under its belt. In addition to the meticulous stitch maneuverings and close color sorting. The stylish asymmetrical zipper closure is one of its finest frontage decorations. 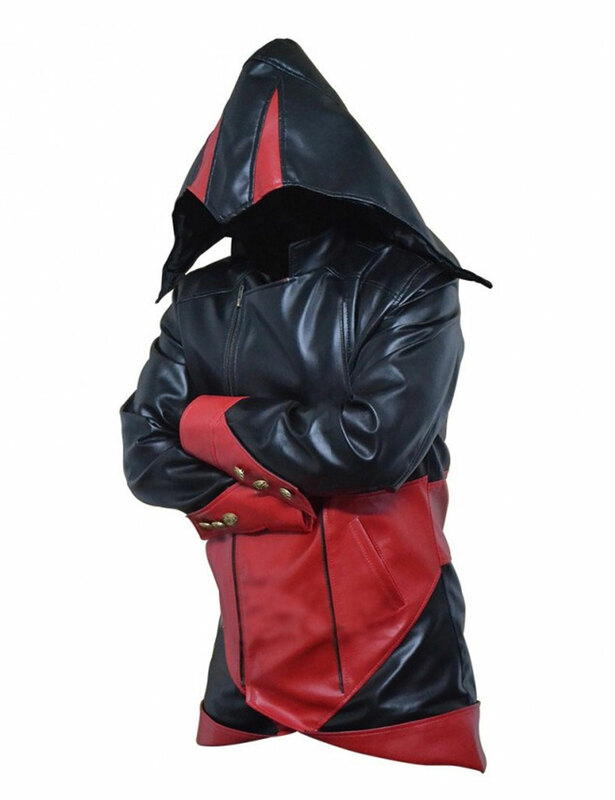 Moreover, two slanted waist pockets are also added to this Black and Red Assassins Creed Jacket for your essential items safekeeping. 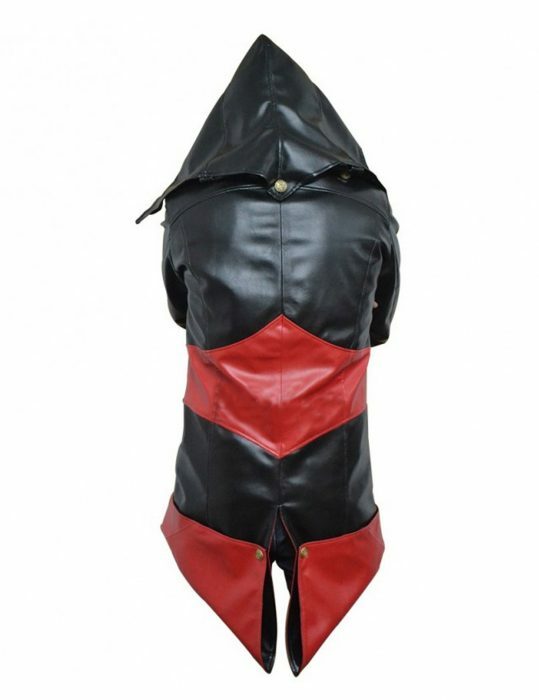 End result, this leather garment is totally a spirited wear for your up-to-the-minute body covering refinement. A great genuine grab to upgrade your wardrobe clothing range.